This chapter reviews the challenges of learning and teaching geometric conceptualization. We describe how geometry appears differently during the various stages of learning in institutionalized education. The earlier conceptual stages of geometry always form the foundation for the next interpretation of geometry that the learner will encounter. This stratified structure of geometrical thinking is visible in geometrical conceptualization and teaching geometry as a prolific dialogue between the concrete and the conceptual approaches. 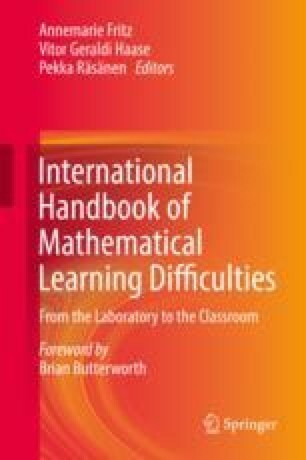 This chapter places particular focus on the central nature of prototypical conceptualization and figurativeness in the early stages of learning geometry, the gradual development of the ability to categorize and form definitions, and the roles these have in the process of shaping a pupil’s structured conceptual geometric knowledge. Theoretical observations are illustrated with examples. Atebe, H.U. (2008). Students’ van Hiele levels of geometric thought and conception in plane geometry: A collective case study of Nigeria and South Africa. PhD thesis. Rhodes University, South Africa. Retrieved from http://eprints.ru.ac.za/1505/1/atebe-phd-vol1.pdf. de Villiers, M. (1995). The handling of geometry definitions in school textbooks. Editorial, appeared in PYTHAGORAS 38, pp. 3–4, Dec 1995. Retrieved from http://mzone.mweb.co.za/residents/profmd/geomdef.htm. NCLD. (1999). National Center for Learning Disabilities (NCLD) (1999). Retrieved from http://www.ldonline.org/article/6390#anchor520397. Patsiomitou, S., & Emvalotis, A. (2010). Students movement through van Hiele levels in a dynamic geometry guided reinvention process. Journal of Mathematics and Technology, 2010(1–3), 18–48 http://www.ijar.lit.az/pdf/jmt/1/JMT2010(1-3).pdf.